Trying to keep up with Amanda Stecco tends to require copious amounts of coffee. The spirited 25 year old from Baltimore spends her working hours coordinating social for media giant HBO and all other hours adventuring out in the wild, from Breakneck Ridge to the hallowed trails of Yosemite. 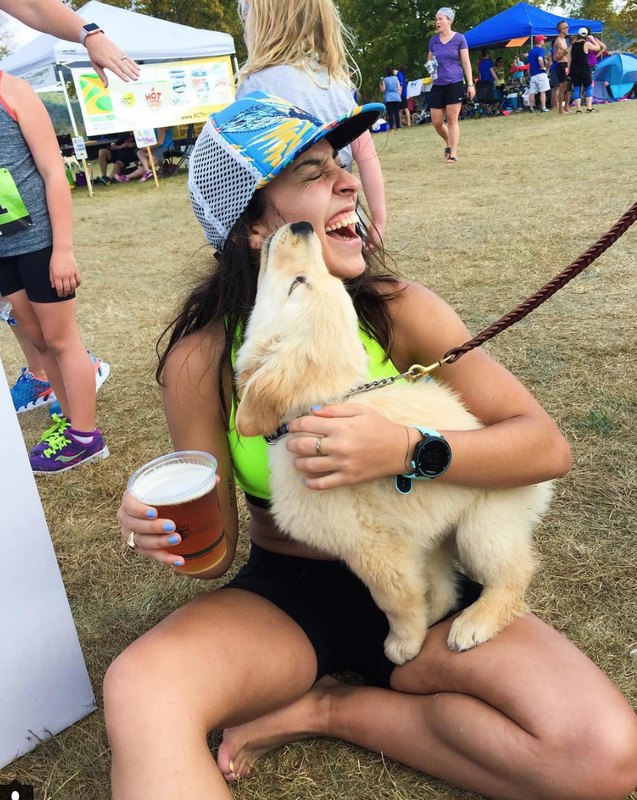 She recently ran her first ultramarathon in Wisconsin. We caught up with her about trail running, learning in the backcountry and what she wishes everyone knew about getting outside to play. How did you get into trail racing? My first trail experience was at the marathon relay at the North Face Endurance Challenge DC, in 2015. I remember passing back and forth with my friends who were doing the 50k and thinking: whoa, these girls are so badass. The course was really tough. It had rained for days leading up to the race and, at the finish, all muddy and gross, I realized, hey, this is pretty cool! Not long after, my friend Casey told me she signed up for a 50k in Wisconsin and she sent me the link. I went to to a panel discussion on ultrarunning with some local experts and Salomon. I talked all about gear and hydration with them and started to think, I can do this- I signed up that night. Tell us about race day in Wisconsin. We drove out to Wisconsin and camped together as a big group; we had good mix of people who were new and experienced runners. Everyone was really chill, which helped calm my nerves. Whitney led a pre-race meditation that was very helpful and I went into the event feeling comfortable. It was warm and the course didn’t have much shade, so I focused on drinking early and often to stay on top of my fluids. To this day, that’s the best running advice I have ever received. The course had so many open fields: every time I got to one, it felt like deja vu; weren’t we just here? At mile 23 I called my friend Liysa who was out on a long run of her own and she was perfect: she asked me all the right questions, like was I still sweating, was I cold, was I eating? When I answered yes to all of them, she said “well then, you’re fine. Go get that finish” and that was the motivation I needed to get it done. If you could take anyone out on a trail run, who would you pick? That’s no contest! I would go with my man Barry O: President Obama. He has been such an inspiration to me and I would love to get him talking; just open up. Trail running is the best way to get to know someone; you are out in nature and conversation just flows. What advice do you have for new trail runners? Ask all the questions! I learned so much by just reaching out and asking friends what their experiences were like. I’d tell them to think hard about their nutrition and recovery too- that’s a very important aspect of racing that I feel like I am still working on dialing in.